Home » Fandoms » J.R.R. Tolkien » The Hobbit » Hobbit Fans: Win Tickets to the Canadian Premiere in Toronto Attended by Peter Jackson!! 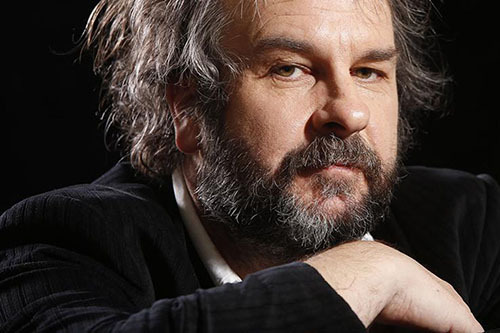 Hobbit Fans: Win Tickets to the Canadian Premiere in Toronto Attended by Peter Jackson!! PETER JACKSON and other cast from the film will be at the Scotiabank Theatre screening of the film at 6pm and at the official after-party at The Windsor Arms Hotel at 8:30pm. Show Peter Jackson and Warner Bros. just how big a FAN you are and WIN! Show up to the theater or after-party in Middle-Earth attire, and Warner Bros may award YOU with a “Special FAN Pass” to the premiere that evening AND tickets to the HOBBIT Movie Marathon on December 15th! Hobbit fans “SHALL NOT PASS” up an amazing fan opportunity like this! Show your inner Hobbit, Elf, or Dwarf and show Peter Jackson that Toronto has the BEST Hobbit FANS! Tags Canadian Premiere Cosplay Featured Lee Pace Middle-Earth Peter Jackson Scotiabank Theatre The Hobbit: The Battle of the Five Armies Toronto Warner Bros.
Next Peter Jackson Gets STAR on Walk of Fame – See the Ceremony HERE!